We are a leading Manufacturer of ganga grow nitrobenzene, bio jivan nitrobenzene granules and nitrobenzene fulvic acid fertilizers from Vadodara, India. 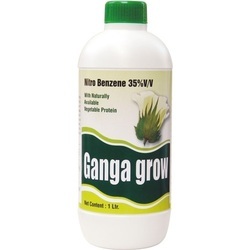 We offer our clients Ganga Grow Nitrobenzene (Nitrobenzene 35%). Our range is widely appreciated by all our clients and is offered at the most affordable price range to all our clients. These are widely used in various industrial applications accordingly. 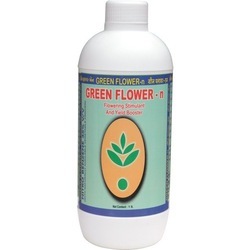 growth promoting agent, and flowering stimulant. All types of Vegetables, Cotton, Horticulture crops and field crops. Nitrobenzene 35% + Amino Acid. 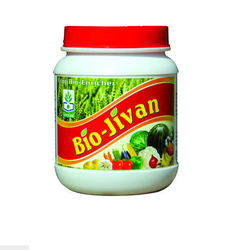 Our domain expertise has enabled us to come up with an excellent range of Bio Jivan Nitrobenzene Granules. These are formulated using only the excellent quality ingredients under the strict supervision of our quality analysers to ensure their compliance with international standards. With the dosage of 2 kg per acre, these growth promoting agents are used for soil applications and are made available by us in packaging size of 1 kg. Nitrobenzene 30%+Humic Acid 15%, Amino Acid Complex. Owing to our sophisticated manufacturing facility, we have been able to offer Nitrobenzene Fulvic Acid Fertilizers 35% v/v (Green Flower-n). The products offered by us can be availed by the customers in various specifications, and quantities as per their requirements. Moreover, these fertilizers are made using optimum quality ingredients such as sea weed extracts which are procured from reliable vendors. Before the end delivery, these products are stringently checked by our quality analyzers on varied parameters to ensure their flawlessness. These are suitable solvent and helps in achieving high penetration of hormones in plants and has the following other information.